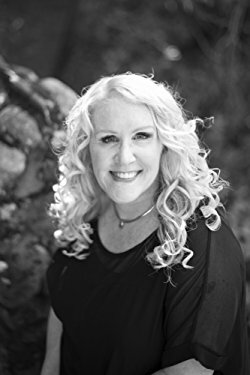 I’m thrilled to have Peggy Jaeger, one of my sister authors at The Wild Rose Press, here today. 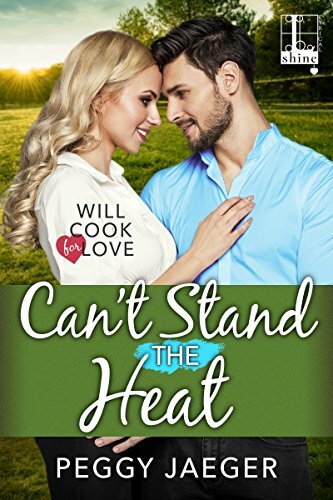 Welcome, Peggy, and congrats on your new release, Can’t Stand the Heat! I wish you great success with it. I have lots of questions for you, so let’s get started. At what age did you write your first story? If I’m remembering right, I was 6. It was about a lonely, neglected girl who made a wish for a family and got that wish granted! Sounds like a wonderful story! Which genre was the first to hook you? Mystery. I devoured every Nancy Drew and Trixie Beldon book in my local library when I discovered them. Then I moved on to Sherlock Holmes and Agatha Christie. At one point in my 20’s I had a copy of every Agatha Christie book in print. This was waaaaaaaaaaaay before ebooks! Wow! I love all of those, and my childhood wouldn’t have been the same without Nancy Drew! I think those books inspired many future authors. What was your first published book? THE KINDNESS TALES, published in 1994. It was a children’s book from a very small press that has since gone the way of the dinosaur. What’s your favorite part of the writing process? Brainstorming? Research? Outlining? Writing? Editing? Actually, my favorite part is coming up with my characters. I’m a huge and unabashed eavesdropper and people watcher. I watch and listen to people all the time when I am in public. On the line at the grocery store. In Panera. At the drugstore. Even when I go out to dinner with my hubby. I am always thinking of scenarios and backstories for interesting people I see. It gets kinda hard in the small town I live in, since I know so many of the people already! But outside of that town and when I travel, my creative juices really start to flow. What are you working on now? I am currently in edits for my third San Valentino book which will be coming out Christmas-time 2018 from the Wild Rose Press, titled BAKED WITH LOVE (A San Valentine Christmas Romance). This book tells the love story of baker Regina, and the handsome stranger who comes into her bakery looking for a custom cake and winds up leaving with her heart! I loved reading about the San Valentino family in A KISS UNDER THE CHRISTMAS LIGHTS. They remind me a lot of a large Italian family I knew when I was growing up. I’m sure BAKED WITH LOVE will be a fun read, too! Of all the settings you’ve used (or created!) for your books, which is your favorite? My fictional town of Heaven, NH for my book series (as of yet unpublished) A MATCH MADE IN HEAVEN. Why? It’s about a tiny town in New Hampshire. I live in a tiny town in New Hampshire. The setting of the book plays a pivotal role in each of the 4 books. There’s something about a small community of people, esp. New Englanders, that just warms my heart. So many backstories, so much history. Secrets everyone knows but never speak about. Love that! Have you ever dreamed about a character you created? Actually, yes. In Book 3 of my Macquire Women series, the character (hero) Pat Cleary, came to me fully formed in a dream. I saw him, knew him, heard him speak all in one dream. That entire book was written for him. Very cool! If you could have a conversation with anyone—dead or alive—who would it be? Love this question. Jane Austen’s Elizabeth Bennett. I’d like to ask her, for once and for all, to settle a dispute in my head: Did she marry Darcy because she truly loved him, or because she loved Pemberton and wanted to be its lady and the only way to do that was to marry the onwer? Great answer! I love Elizabeth Bennett, and I’m guessing she truly came to love him. If you could travel to any time and place, when and where would that be? You know, I’m kinda happy where I am right now! If you could step inside any book or series and live there for a week, which would you choose? Hands down JD Robb’s IN DEATH series. I would love to work with Eve Dallas and Delia Peabody and just sit around and stare at Roarke! If a fairy godmother appeared and offered you one thing—anything at all—what would you request? Oh boy, what a question! Well, I could take the moral high road and ask for world peace. Or the fiscally sound one and say a billion dollars so I could make sure my family is secure for the rest of my life. Or I could be selfish and ask for the body I had at 20 back (HeeHee). But I think the thing I would ask for is the power to end world hunger. To make sure everyone, everywhere has enough to eat for the rest of their lives. I don’t want anyone ever to know what it’s like to go hungry. Ever again! A wonderful wish! Now, it’s time to learn some of your favorites. Tea or coffee? Neither. I drink DIET MOUNTAIN DEW by the gallon! Jane Austen or the Brontë sisters? Jane, always! A mortal, vampire, ghost, or fae for a lover? Don’t know what a fae is, but I do know that I love the fact that vampires got it right when they discovered that the neck is a supreme erogenous zone, so I’d have to say, Dracula. English gent, Scottish highlander, European count, or all-American guy? All American guy, every single time!!! Hair the color of freshly uncorked champagne fell just below her shoulders in a soft cascade of waves and ripples. Even in the heat and humidity engulfing them it looked fresh. Her face was a perfect heart, a tiny dip in the center of the hairline bifurcating her brow into two perfectly aligned sections, her flawless chin falling into a delicate point. She had one hand out to shake his, the other shading her eyes from the strong and harsh afternoon sun, but underneath her fingers he was able to make out a pair of sloe-shaped eyes in a deep, forest green. A blast of heat instantly warmed and calmed his entire body like a few shots of his favorite Irish whiskey did after a rough and painful day. The subtle aroma of vanilla floated to him, filling his senses with the sweet fragrance. The persistent, throbbing ache in his left leg the liquor helped chase away, was momentarily forgotten with his hand rooted in hers. As soon as she pressed her fingers firmly against his palm once, she pulled her hand back. For a split second, Nikko missed the touch. In the next, he found his anger again. Judith it’s been so much fun visiting you today. Thanks for hosting me and introducing me to your readers and followers!!!! WIld Roses ROCK!! What a fun interview! And two of my favorite writer friends — Judy and Peggy — in one place! What an embarrassment of riches.